Great place for our family ski trip. Great location, good accomodations, highly recommend. Thank you so much for staying with us! We are thrilled to hear you had a wonderful time. We hope to host you again soon! We enjoyed staying here - very convenient for PCM resort and the hosts were great. Thank you so much for staying with us! We are thrilled to hear you enjoyed the home and convenient PCM location! We appreciate your valuable feedback and will discuss it with our team! Empire house was a really nice place to stay. An easy short walk to the slope and the bus route to go downtown. The accommodations were comfortable and the furnishings were nice. A well stocked kitchen and good water pressure in the shower. At the end of the day I don't like a shower with water that just trickles down. It still needs to hot when it gets to my feet. This will be my new favorite place to stay in Park City. 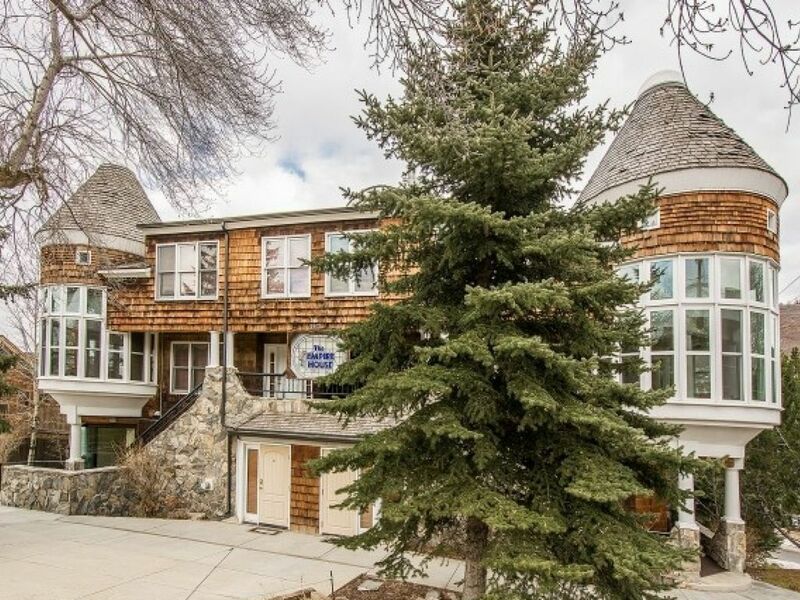 Perfect home base for a 2-bedroom stay for Sundance. Easy walk to the Library, bus stops, the supermarket, and Starbucks. Thank you for staying with us! We appreciate your feedback and will share it with our team. We hope to host you again soon! This place was better than we anticipated on most fronts. We thought it was a few blocks from the slopes- turns out we just had to walk across a parking lot- not around a bunch of buildings or homes. We loved being able to head back to the condo at lunch time and avoid pricey meals on the slopes. Even threw our soaking wet clothes in the dryer. Our friends got a 'ski-in, ski-out' place and I think ours may have been a more convenient location. Buses are easy to use and free, so we didn't even need a car the whole time we were there. The condo was clean, appliances worked great. Our only complaint was that there were definitely some issues with the heater. Maintenance team was friendly and tried to help out, but even they admitted something was going on with the entire building's boilers. It was usually 80-85 degrees in there. Which is nice for a bit after being out in the cold, but not great for sleeping or being comfortable otherwise. One other note is we were hoping to utilize the free services more, but the free ski rentals per day were only for the beginner package. Otherwise the same service was much more expensive than other local shops in the area. Only other activity options were ice skating and a train ride. Would suggest expanding these for winter! Major Credit Cards Accepted. Monthly rates show the rental amount of a four week trip. A 35% deposit is required upon confirmation of all reservations. A $44 limited damage waiver will be applied to all bookings in lieu of a security deposit. Local, State & Federal Taxes 13.45%. Save 15% on Remaining Thanksgiving Dates!.